While it is always preferable to preserve natural teeth, sometimes it is necessary to remove them. Surgical procedures, no matter how big or small, should always be done by skilled professionals trained in the field. We offer specialist care for difficult extractions and oral surgery that cannot be done by most general dentists. Bone Graft: Moving a piece of bone from another part of the body for a more solid foundation for an implant. Sinus Lift: Augmenting the bone in the upper jaw area. Ridge Augmentation: Restoration of the contour of the jaw and gums after a tooth extraction or bone loss. These procedures can improve your oral and overall health. They remove the potential for spreading infection stop crowding and shifting teeth, and can help rebuild lost bone before a restorative treatment such as implant dentistry. Healing from these procedures can sometimes be a long process. We will provide consistent care every step of the way to secure your health and comfort. 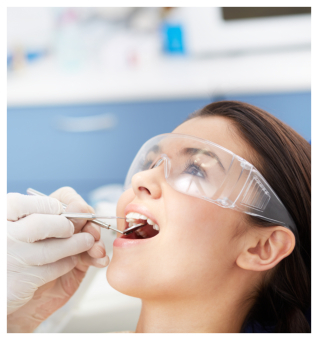 By working with skilled dentists with long experience in their field, you will get better results from your procedure. All of our dentists have had years of experience, and performed countless successful procedures. Along with Dr. Shirley Baker, they provide premier dental care to patients from the United States and Canada.